Carrie Marie Underwood is an American country music singer who rose to fame as the winner of the fourth season of American Idol in 2005. 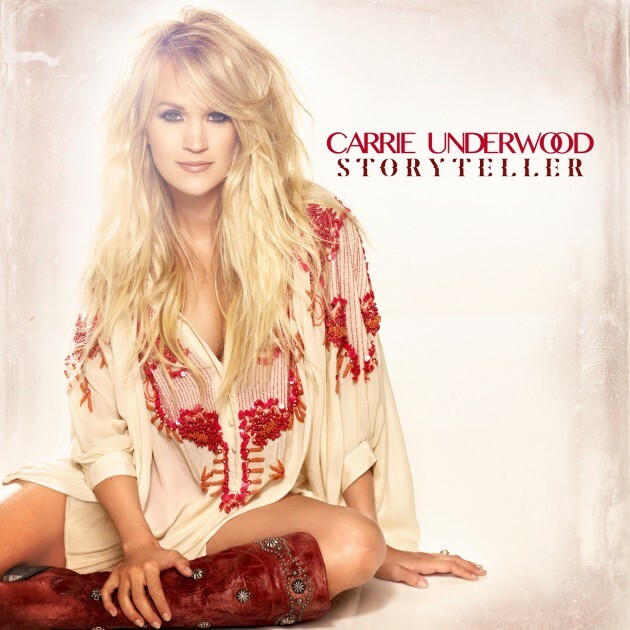 The above is the cover artwork of Storyteller, the fifth studio album from Carrie Underwood, released on October 23, 2015 via Sony Music Nashville. Two fonts have been used on the album cover: the font used for the singer name is Bangla MN Regular while the album title features a display font named Marle. Designed by Leta Sobierajski, Marle is a single weight bespoke typeface inspired from French Didot and Italian Bodoni.